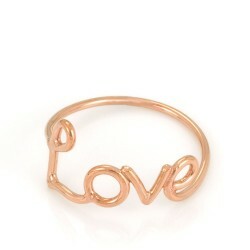 Back by popular demand, the beautiful rose gold edition of this ring! Show a little love with this cute, contemporary ring. We'd recommend pairing it with our Written Heart Ring and Written Tiny Knot Ring for the ultimate in delicate, feminine hand-candy.